The Mew Gull is a rather unknown species, which nevertheless is quite common. It has a fine, thin beak. In parks you sometimes see the Mew Gull 'drumming' on the grass. Worms, thinking that there is a mole, come to the surface, something they shouldn't have done. 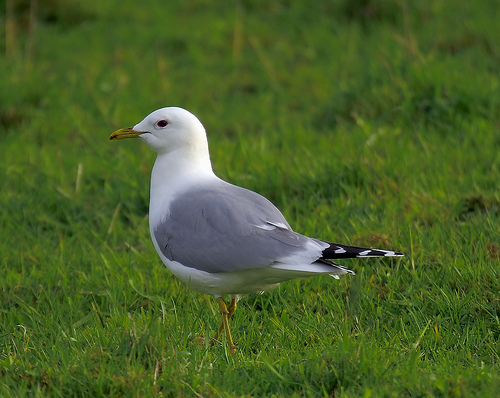 The Mew Gull is much smaller than the Herring Gull and has a relatively thin beak. 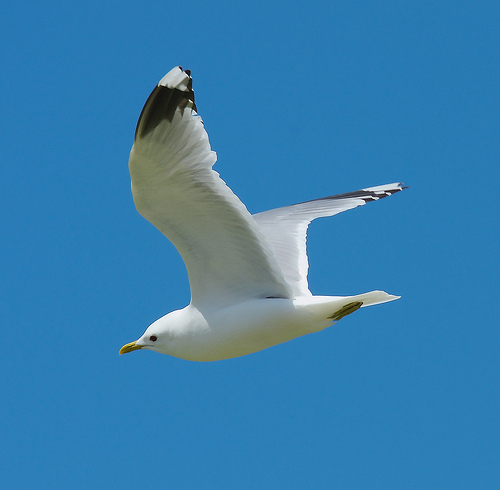 In summer the Mew Gull has a plain, white head. In wintertime it lacks the two black eyespots of the Black-headed Gull.